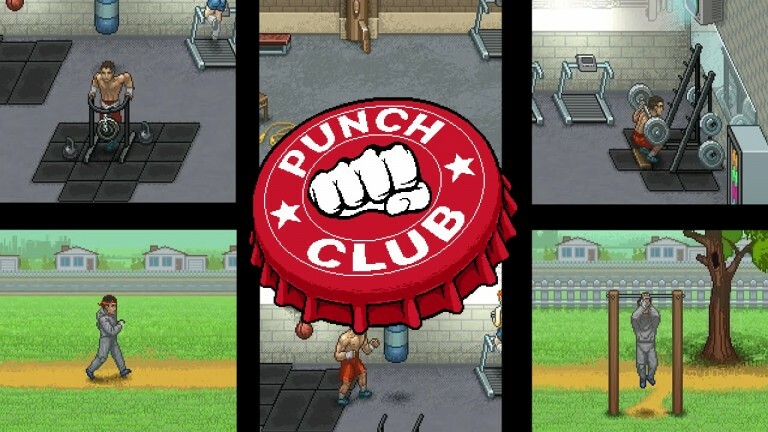 Punch Club is a game developed by Lazy Bear Games and published by tinyBuild. So, what’s the story to this game? 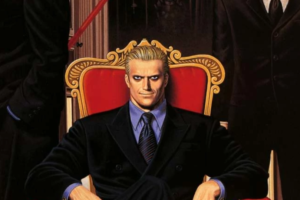 As a child, your father was killed and one of his friends looks after you because your father looked after him, so you decide to start fighting to try and find your father’s killer, along the way you meet a man named Mick, he offers you advice and meals. As you fight you’ll also meet a guy named Roy who you fight against, but you end up becoming friends. I can’t really say much more, because from here on out the story branches off so what I experienced might be completely different to what you experience. 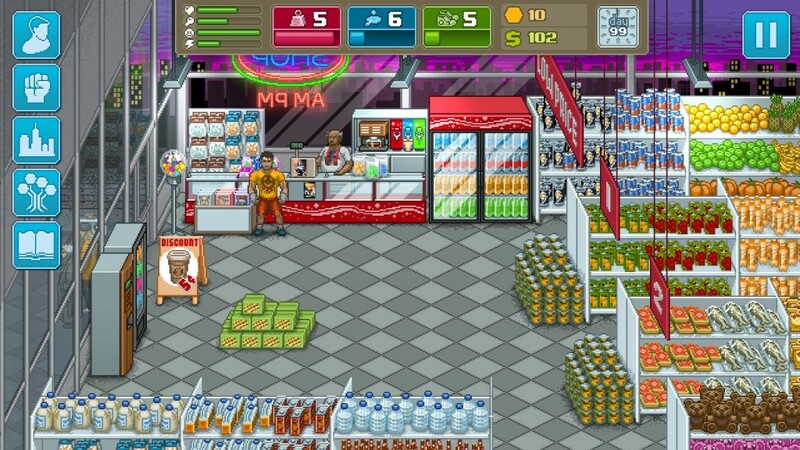 It’s pretty hard to put this game into a specific genre, the developers say its a Boxing Tycoon Management game, but to me it feels more like a point and click RPG with a weird battle system. To explain it, I’ll need to split it into different sections, the main game and in battle, even then it can be a little awkward to explain. The game works on days, so you have a time system, time will only progress while you’re doing something, such as working, travelling, watching TV or training. While travelling from one place to another, you can choose to either walk, or catch a bus. Catching a bus costs you money, but it doesn’t take any time, then walking takes time, there is also a chance that you will get mugged, which only happens if you have a certain amount of money (it changed during patches and may change again, so I won’t say how much for that reason). You can choose to fight, run away (there’s a chance you’ll fail and you’ll need to fight anyway) or give them your money. If you lose the battle, you’ll lose half of your money. There is also a skill tree system where you can unlock new attacks to use in battle, you unlock these skills by using medals that you can get by fighting. 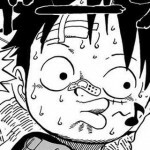 In battle, you have your HP and stamina, if your stamina runs out and you get attacked, you’ll get knocked down (as well as receive a lot more damage) and both you and the enemy will recover some stamina. If your HP reaches zero, you lose the battle, this isn’t game over though, depending at which point in the game you are, you’ll either lose points determining your current position or it’s basically just the game saying “Come on, you need to train harder than this”. 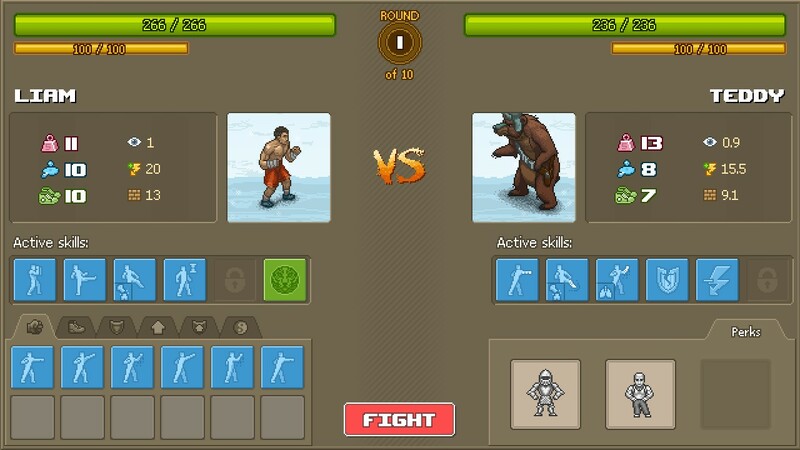 Battles also work in rounds, before each round, you’ll have a chance to change skills, when you select skills the computer randomly selects one of these for you to attack or guard with, you can also get some effect skills such as counterattacking, where you’ll deliver so much damage back to the opponent upon a successful dodge, or guard breaker, where if an enemy blocks you’ll do so much more damage than you normally would. You start off with 2 skill slots, meaning you can only use 2 attacks, however as you progress through the game you can unlock more (I think 5 is the maximum). 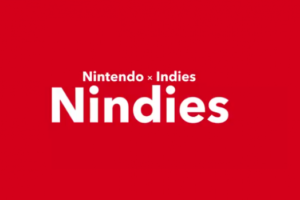 There are also perks which are assigned automatically as you unlock them, these give you advantages such as kicks do more damage, your evasion is increases but evasive moves cost more stamina etc. For gameplay, it can take a while to find your pace. You have to balance work and training, if you work too hard then you lose your mood so your training won’t be as effective, but at the same time if you train too hard you’ll use all your energy and won’t be able to work. It can be tricky at first finding a good balance, but once you get the hang of it, it’s not too hard. On top of all this, at the end of each day you’ll lose some of your battle stats, so you need to keep on top of those otherwise your hard work can go to nothing. It’s a game where you have to plan things ahead, and half of the time, you’ll come across the best plan for you by trial and error. 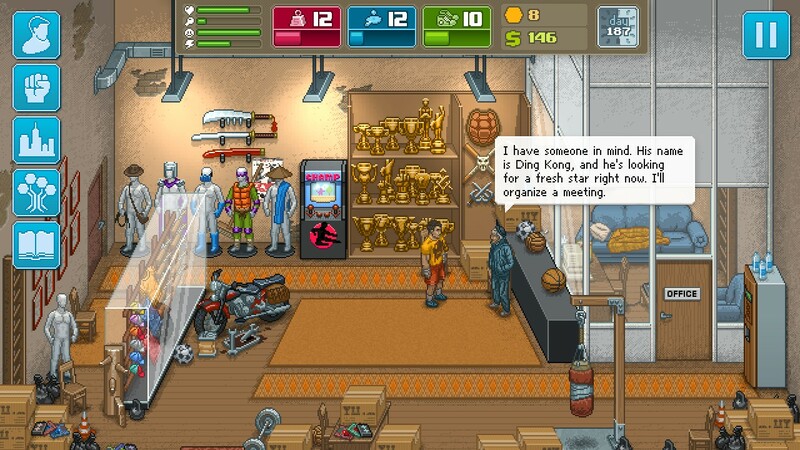 There are also a ton of pop culture references, like here, the shop owner’s name is Apu and outside you can see Jay and Silent Bob. Would I recommend this game? Yes. Why? I can’t put my finger on it, it’s just one of those games that can be tedious at times, as well as being pretty short, but it’s enjoyable regardless, the story isn’t the greatest, but there’s enough to sting it together, it has a nice strategy feel to it, where you have to plan things to a fine detail but not in a way that if you make one bad move you won’t be able to recover, it just means you’ll need to make a lot of effort to recover. It’s a game I haven’t been able to pull myself away from and one I’m looking forward to playing through again.